Thanks to the assistance of Lloyd De Beer and Naomi Speakman, both in progress with individual collaborative PhDs at the British Museum, the Courtauld has organised several handling sessions for postgraduate students over the past few years – you can read a report from an earlier session here. The March session was kindly hosted by the British Museum’s Prints and Drawings department, and focused on Master W and Key (active c. 1465–1490), an anonymous Netherlandish engraver named after the shape of his monogram. Most of the eighty-two extant works by this artist are ornament prints, but he is also known for his engravings of ships, the first known representations of this kind. 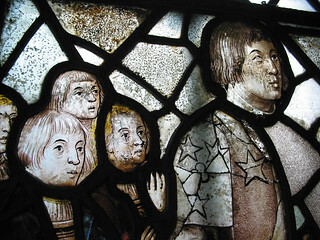 While the ships may be connected with the ducal fleet of Charles the Bold of Burgundy, scholars have generally interpreted the architectural prints as patterns to be used by craftsmen in the workshop. Nevertheless, discussion during the session raised many questions on the cost, circulation and market of such early prints. Although a modern perspective may see the printed image as a cheap, mass-produced medium, these early architectural examples are very complex, and often required the painstaking engraving of more than one plate, printed on multiple sheets. Would such time-consuming creations really have offered a more convenient alternative to the exchange of drawings among workshops? What other reasons may have contributed to the spread of such designs? Although this remained an open question, consideration of prints such as Alart du Hameel’s Design for a Gothic baldachin revealed that early architectural prints could be intentionally used to advertise their maker’s expertise in design and geometry: this print features a prominent signature, a mason’s mark, and an abbreviated ground-plan which seems to imply superior technical expertise. The same consummate skill is show in Wenzel von Olmütz’s Elevation of a Gothic Pinnacle with a Hexagonal Ground Plan, although in contrast to du Hameel, Olmütz did not sign his creation, and positioned plan and elevation one above the other, as typical of other Gothic drawings and of the Gothic design process in general. Other treats of the handling session included Emperor Heraclius entering Jerusalem with the upright True Cross, designed by Alart du Hameel but signed ‘Bosche,’ presumably in an attempt to partake of the painter’s fame; Master ES’ figured alphabet; Albrecht Dürer’s large coloured drawing of a Gothic table fountain. Boekeler, Erika, ‘Building Meaning: The First Architectural Alphabet’. In Push Me, Pull You: Art and Devotional Interaction in Late Medieval & Early Modern Europe, eds S. Blick & L. Gelfand; E.J. (Brill, 2011), pp. 149-195. This entry was posted in Past Events, Uncategorized and tagged alart du hameel, albrecht durer, British Museum, Courtauld Institute of Art, engraving, handling session, late-gothic, master w and key, print, wenzel von olmutz on March 24, 2016 by costanzabeltrami. The study of architecture largely focuses on the study of buildings: constructions with their most essential function as shelter for the human body. But architectural history can forget that constructions with other functions are also ripe for interpretation of their structure and ideologies. This is what the ambitiously-named International Bridges Group intends to promote for crossings of all kinds, but beginning with a focus upon the medieval. Hence we at MedievalArtResearch.com were invited to their inaugural meeting at Westminster Hall on the banks of the Thames, followed by a day of in-depth (hopefully not literally) investigation of medieval bridges in the Nene and Great Ouse valleys. It as an opportunity to experience the fledgling sub-discipline of gephyrology: a neologism which currently only returns fifty results on Google. 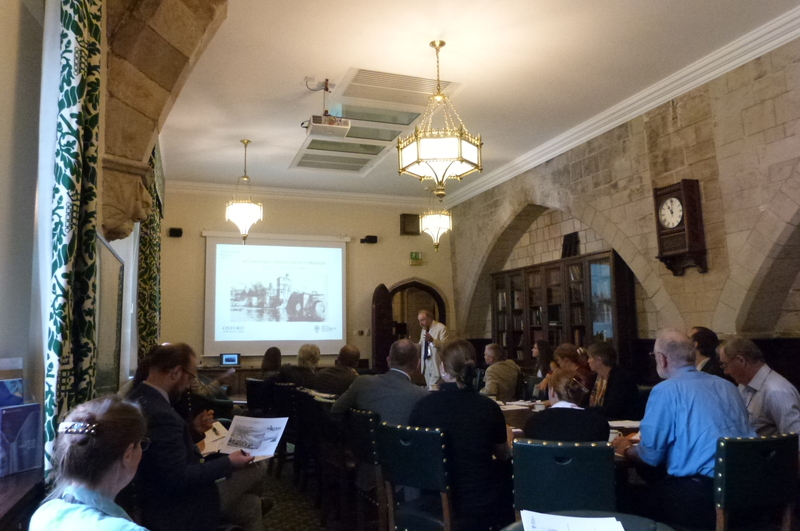 As the current writer specialises on ecclesiastical architecture, one thing that emerged in the day in Westminster Hall was how similar working on the English bridge is to studying English parish church. Opening lectures from John Blair and John Chandler established thinking about English bridges is closely linked to unravelling the origins and operation of the English parochial system. Many current bridges can be traced back to the increasing importance of kingdoms in the late eighth century, and the establishment of centres of power. Just like churches, sometimes the opportunity to build a bridge was seized upon by institutions, monastic, parochial or secular to make a powerful architectural statement. Equally, institutions could be less responsible: maintenance neglected and pontage tolls embezzled. Also like English churches, English bridges are uniquely weird and wonderful in equal measure. John P. Allan showed us, via the Exe bridge at Exeter, how independent masons may have been happy to meet in the middle with rounded and pointed arches; while Peter Cross Rudkin showed the English fondness for soffit ribs under the arches, akin to the complicated mouldings of English churches. The rib may have originally had a functional purpose centring the arch before it was built up: especially important for a rounded arch that cannot support itself. But since the ribs are often spaced wider than the length of the stones on top, it would appear that they have assumed the status of a skeuomorph: a decorative form derived from a practical necessity. Having a bridge that had distinctively bridge-like forms was clearly as essential as its structural practicality. Just as a church spire provided an opportunity to dominate the sky, a bridge provided a powerful opportunity to assert ideology through these unique architectural semiotics. 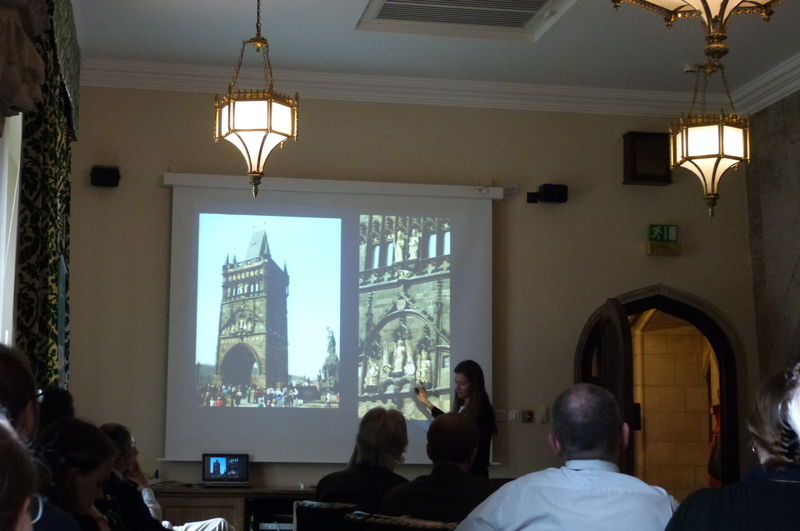 Susan Irvine used Anglo-Saxon literature to consider the bridge as a liminal space: a meeting point between two places. The potential of using this category of space was explored by Jana Gajdošová and Gerrit Jasper Schenk, both presenting papers on bridges rebuilt after disaster. The Gothic Charles Bridge in Prague, with its enormous bridge-tower and scheme of regal architectural sculpture, Jana showed to be a powerful expression of the megalomaniacal ambition of the Holy Roman Emperor. Gerrit compared the rebuilt Ponte Vecchio to the Florentine Bapistery: a pagan monument to Mars reclaimed for John the Baptist, expressed through inscriptions that speak of the enlightened commune of the city. The final session brought us to how the established concept of a bridge worked in larger societal concepts: Jacopo Turchetto took us to medieval Anatolia, demonstrating how magnificent Ottoman bridges represented much older meeting places of travelling caravans. 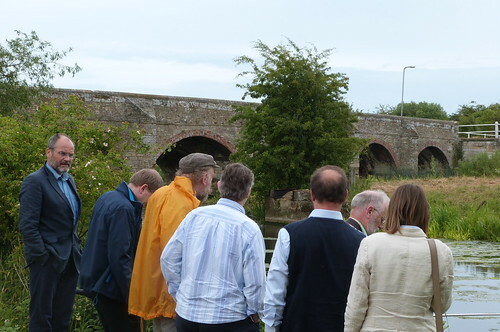 Roberta Magnusson and David Harrison both gave rich lectures about the bridge in the frameworks of English urban infrastructure and society that proved vital for enlightened conversation on the group’s trip out the Nene and Great Ouse Valleys the next day. 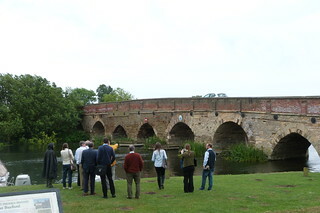 After an early Sunday-morning start, the first bridge the delegates encountered was Great Barford in Bedfordshire, dated by a major bequest of 1428. Much of the problem of looking at bridges is that, unlike a building, it faces not just the usual climatic elements, but also heavy traffic, perpetually flowing water, and wandering boats. Therefore it is inevitable that they fail and are rebuilt. Great Barford was also slightly spoiled by the 1874 widening – a common solution to the problem of increasing road traffic in the Modern age – here achieved by building out the bridge on the west side with a brick refacing. Many medieval bridges are isolated from the main traffic flow: Irthlingborough now has a rather precarious-looking 1930s concrete Art-Deco bypass running alongside it. But in the Middle Ages it was a main road: therefore it was an inevitable structure unlike the grand statement at Great Barford, and probably with much earlier origins. Ditchford, on the other hand, had no such modern rerouting and was very much in use, with signal lights controlling the two-way traffic not used to a group of architectural historians examining its structure (see featured image). This bridge, made largely of attractively-tinged ironstone, was funded by the two parishes of which it lay on the boundary line: charmingly expressed on the central cutwater by the symbols of churches’ dedicatees, St Peter and St Catherine. Two major urban bridges finished the trip. 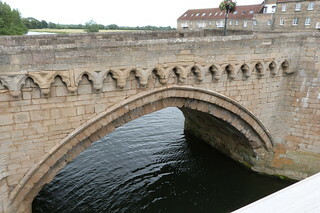 The very handsome bridge over the Great Ouse outside Huntingdon, called ‘lately built’ in 1322, reveals at close inspection its English eccentricities: different mouldings, designs and widths for every arch. It has the most attractive feature of a trefoil-arched corbel table, very much confirming the early-fourteenth-century date, which may have marked the place of a bridge chapel. Very few of these survived the Reformation: Wakefield, Rotherham, Bradford-upon-Avon and St Ives being the exception. 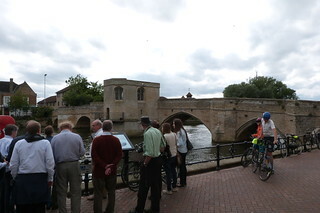 However, we found the chapel over the Great Ouse locked, but had plenty to admire in the St Ives bridge itself: built in the 1420s at the behest of some generous Benedictines. While very rich and informative, this meeting established only mere stepping stones to the establishment of gephyrology as an active discipline. If you are a budding gephyrologist, especially of the medieval period (or at least, initially, hanging around with a bunch of medievalists) and would be interested in attending future meetings of this research group, then email Jana Gajdošová with your name, institutional affiliation and a brief description of your studies. For the full resumé of pictures of the day (including cheeky opportunistic solo church visits) see the Flickr set. This entry was posted in Conference, Past Events and tagged Anatolia, Anglo-Saxon, architectural history, Bridges, Conference, England, Exeter, florence, Gephyrology, Liminality, Prague, Westminster on June 29, 2015 by James Alexander Cameron. Search for “microarchitecture conference” on Google, and you will mostly be returned results concerning gatherings of computer programmers. This would doubtless make the concept of a conference on medieval microarchitecture entertaining to many. Even ignoring this parallel nomenclature, the sort of microarchitecture art historians are interested in is not an easy concept to explain, and perhaps one of the primary goals of the conference held at the Institut Nationale d’Historie d’Art in Paris was to actually work out what we had all come together for. I doubt wasn’t the only one who wondered whether my own material actually qualified. Achim Timmermann (University of Michigan), a man who could indeed be dubbed “Mr. 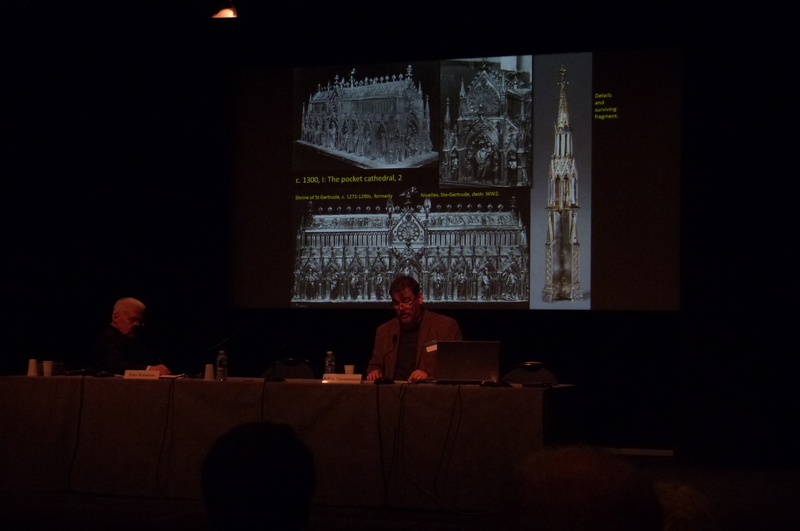 Microarchitecture”, gave an exciting overview of the concept in Early, High and Late Middle Ages, so epic in its scope of fantastic structures that the screen ought to have expanded into Imax proportions. His account demonstrated how microarchitecture transformed from the idea of a “pocket cathedral” into such an isolated ontological sphere that it crossed into convolute monstrosity with its self-mimesis by the late fifteenth century. An alternative and quite staggeringly rich oration, based on his new book Gothic Wonder, was given by Paul Binski among the medieval statuary in the ancient Roman baths of the Museé de Cluny. For Paul, the medieval intellectual aesthetic condensed great and small, magnificent and minificent, into an idea characterised by a single playfulness of embellishing surface with ornament. 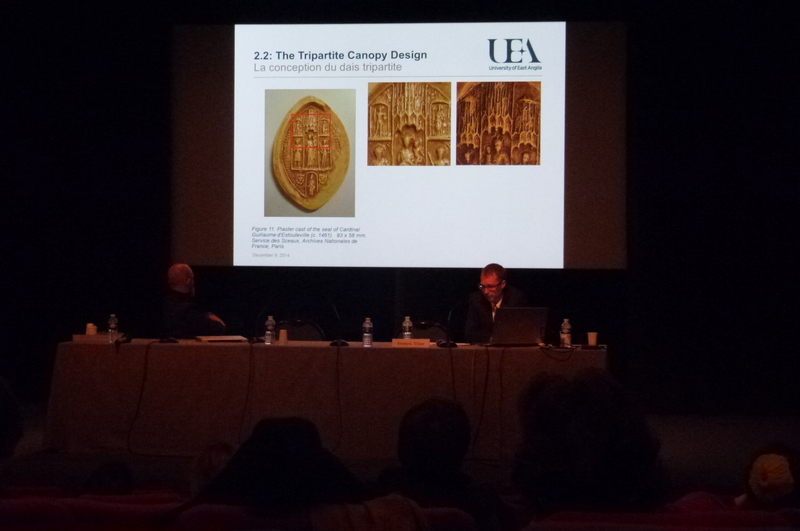 A more formal account, jointly delivered by Javier ibàñez Fernandez (Universidad de Zaragozza) and Arturo Zaragozá Catalán (Universidad de Valencia), introduced a 7-part taxonomy of microarchitecture in Spain: from functional maquettes to decorative miniaturisation of large-scale forms. In this framework of ideas of categorisation, many new genres of object were introduced to the conference room. The present writer, of course, had packed a selection of sedilia, which by now I am certain always prove novel to continental audiences. But we also had stone tile ovens like traceried office blocks from Sebastian Fitzner (LudwigMaximilians-Universität München), Orthodox chivots for Eucharist reservation that mimic the forms of their parent building from Anita Paolicchi (Università di Pisa) and Renaissance elevation drawings that were originally intended to be folded and constructed into paper models from Giovanni Santucci (Università di Pisa). These models are sort of things we would love to have more evidence for in the Middle Ages to explain the transmission of ideas, but alas, even presentation drawings and plans are difficult to come by. 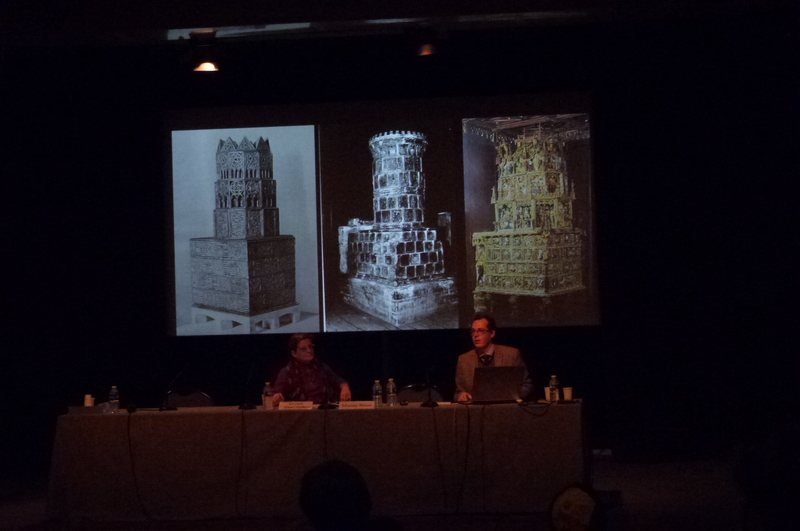 The miniaturisation of large forms into the decorative or representational was covered in papers by Sabine Berger (Sorbonne) on votive churches in the hands of donor statues and Peter Kurmann (ETH, Zurich) on relationship of tabernacle canopies to the geometry and form of great chevets. There was also consideration of the desirability of microarchitecture and its meaning beyond the artists’ play with novel forms. 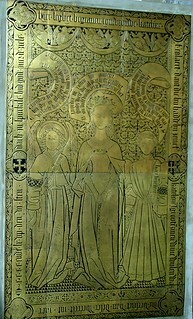 Matt Ethan Kalaver’s (University of Toronto) account of the earliest transmission of classical forms into the Netherlands by the high nobility on their tombs was reflected in the earlier centuries considered by Julian Gardner (University of Warwick) and Matthew Sillence (University of East Anglia). Their papers both focused on how influential medieval prelates and cardinals were for spreading new forms on their seals, which, quite thankfully, was a big part of my paper where also bishops seem the first to stick pointy gables over sedilia in chantry chapels they have endowed. Perhaps one drawback about the novelty of much of the material is that it is only in retrospect to draw many of these parallels across sessions. One panel however that held together very well that at the end of the final day, between Sophie Cloart-Pawlak (IRHiS, Lille), Alexander Collins (University of Edinburgh) and Sarah Guérin (University of Montréal) who all explored the function and symbolism of microarchitecture on the spectator. This was my first international conference, and it was a highly convivial experience with high-quality papers throughout. 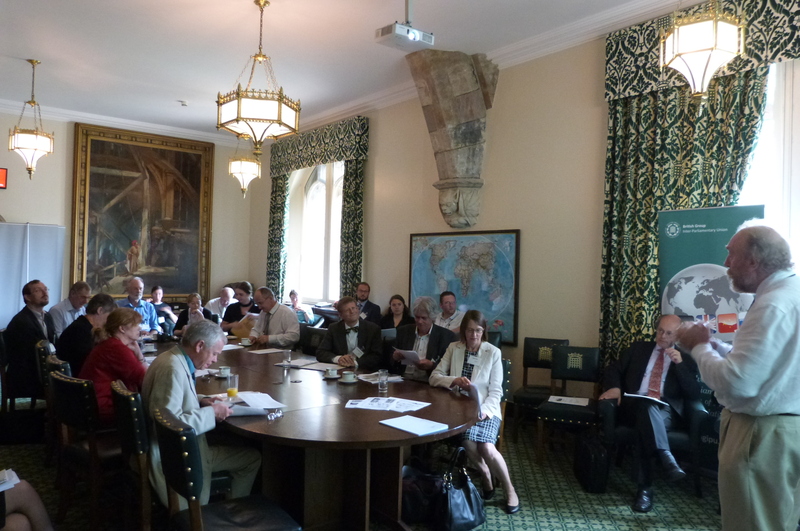 There was a healthy mix of postgraduates, early career researchers, established scholars and some legendary old hands. It is planned that the proceedings will be published, and therefore it should provide a much-needed general framework for the minificent microcosm of the fiddliest bits of the decorative arts. 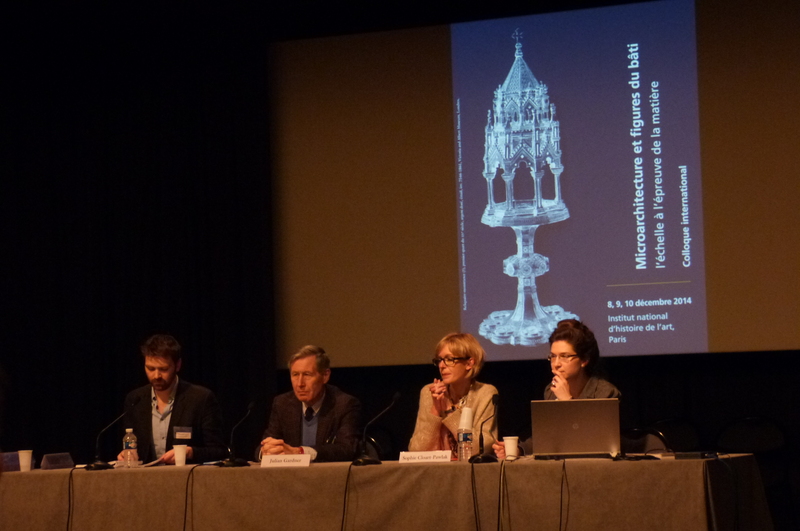 The international conference Micro-architecture et figures du bâti au Moyen-Âge: l’échelle à l’épreuve de la matière was at the Institut Nationale d’Historie d’Art from the 8-10 Dec 2015. Here is our original post of the call for papers, the full programme and the INHA’s official page. We also had a bit of fun tweeting the conference because we’re so Web 3.0. This entry was posted in Conference, Past Events and tagged Architecture, Cathedrals, Chivots, Conference, France, Ivories, manuscripts, Microarchitecture, Ornament, Paris, Sedilia, Shrines, Tile ovens on December 12, 2014 by James Alexander Cameron. 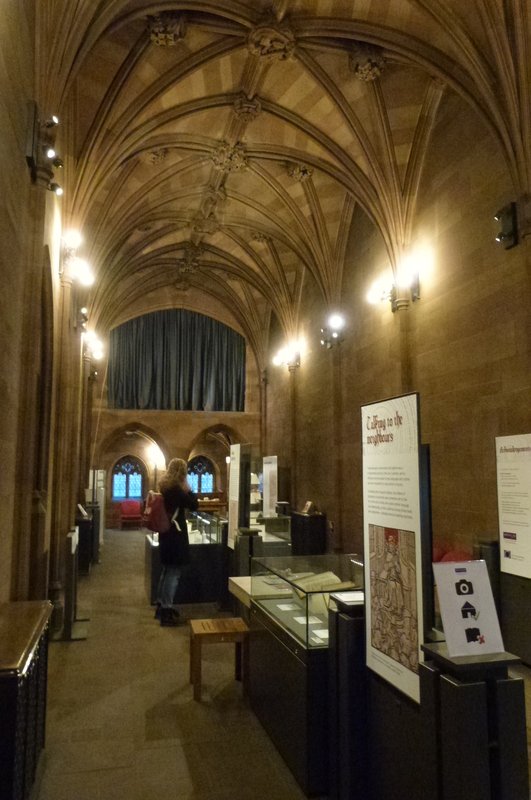 The John Rylands Library is an extraordinary neo-Gothic building to which no tourist visit to Manchester is complete without. The architectural experience is supplemented by many fine exhibitions making use of its special collections, although due to their small, studious nature, they can often be overlooked. Communities in Communication is one such exhibition taking place in its cloistral vaulted corridors. Drawing on the Rylands’ large collection of books from the late medieval Netherlands, this small show forms part of a larger AHRC-funded project to understand the interplay of literary cultures in the late medieval Low Countries. Guided by the excellent little exhibition booklet, the cases are grouped by themes that elucidate how the objects represent a window into the intellectual and linguistic cultures of their age. Trilingual phrase books show that individuals from urban burghers to the nobility were keen to improve their vocabularies. The new technology of printing had begun make written culture more accessible to a world burgeoning with literacy and an appetite for the word, and the majority of books here are printed rather than manuscripts written by hand. The books are beautifully displayed in shallow cases that allow you to appreciate the clarity of the printed text by actually reading the words, appreciating them as works of art and craft in themselves rather than simply vehicles for illumination. 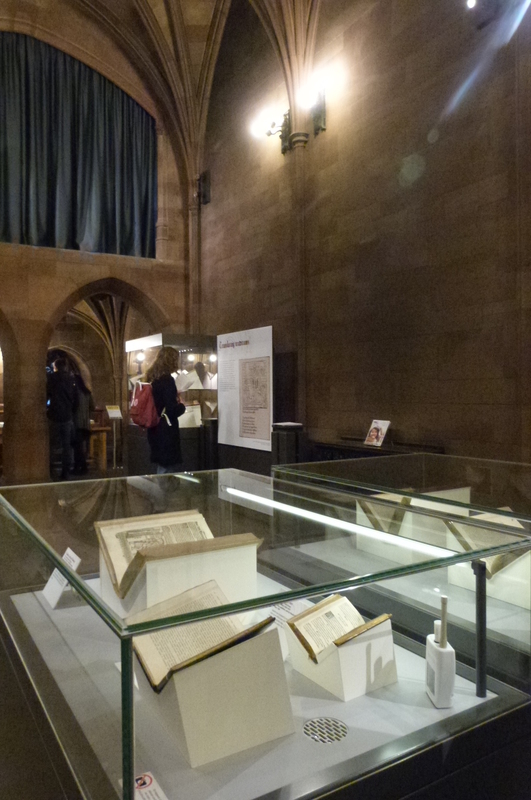 Perhaps the most significant object on show here is William Caxton’s Recuyell of the historyes of Troye, the first book printed in English. I was fortunate enough to visit the exhibition on the occasion of a study day led by the exhibition curator, Adrian Armstrong. 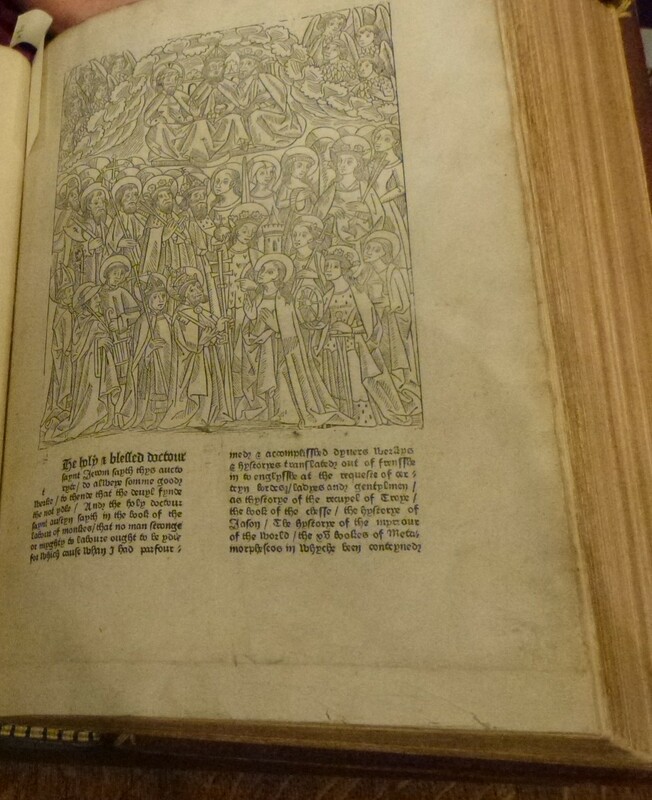 Our group was assigned a wonderful copy of Caxton’s English translation of the Golden Legend. First we studied the book as a physical object: assessing how the paper had been folded into bifolios and bound into quires. A copy that appears mint at first belies a fascinating object history: on close inspection showed how pages had been bookmarked by a neat reader. After a short break we looked at the book in a different way: how we might consider transcribing the text for a modern critical edition. Does one insert modern punctuation and expand contractions, or go the whole way and modernise the often archaic spelling? These are no doubt issues Caxton himself faced when sitting down with English, Latin and French versions of the Legenda Aurea back in Westminster in the 1480s. These dual themes of material codicology and the linguistics of the text helped illuminate the texts on display outside, be it historical writing, poetry or phrasebooks. All these texts are material artefacts that can make manifest the essentially ephemeral speech of daily life in the late medieval Northern Europe: be it in diplomacy, trade, or leisure. This is certainly an exhibition to see if you are interested in the future aims of the project to unravel the interplay of literary cultures in this dynamic environment: both the autumn of the Middle Ages and the springtime of the Northern Renaissance. 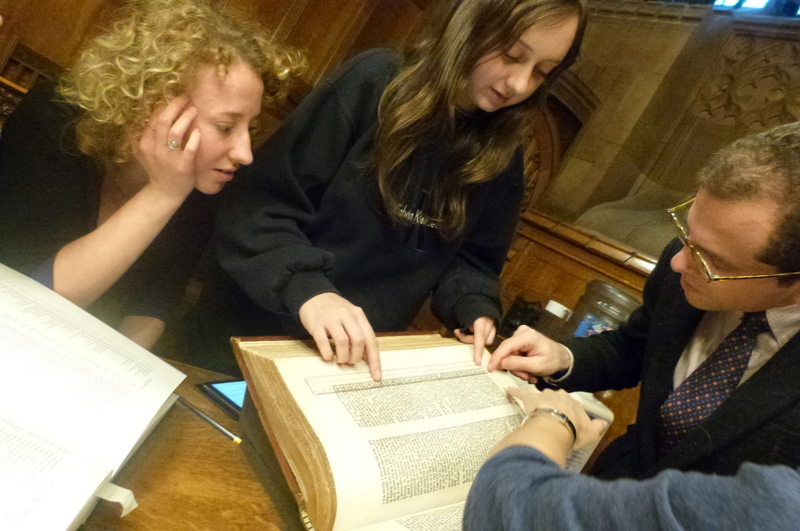 Communities in the Communication: Languages and Cultures in the Late Medieval Low Countries is on at the John Rylands Library, Deansgate, Manchester until 21 December 2014. Admission is free. This entry was posted in Current Events, Exhibitions, Past Events and tagged Books, codicology, Late Medieval, Low Countries, Manchester, Text on November 6, 2014 by James Alexander Cameron.